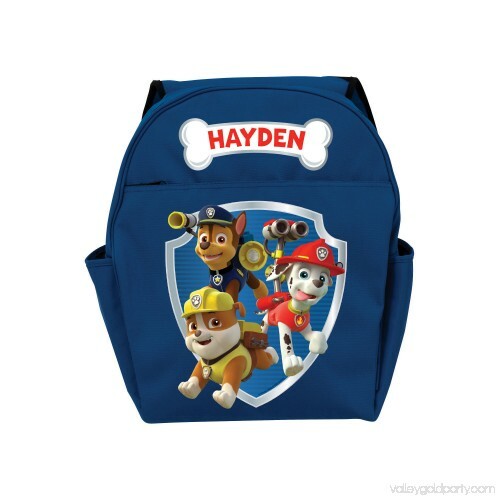 This Personalized PAW Patrol Ready For Adventure Blue Kids' Backpack allows little ones to carry around school supplies, homework and other gear all throughout their day. 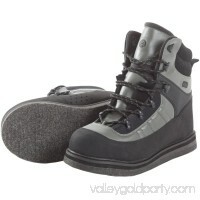 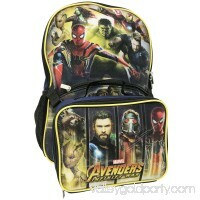 Packed with functionality, it contains room for everything from books to extra clothing. 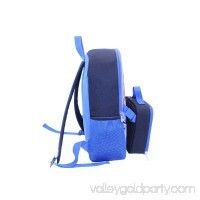 This personalized toddler backpack features YKK zippers and a headphone cord opening. 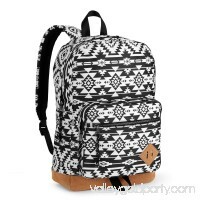 Its roomy interior contains a front pocket with zipper closure, two side pockets and additional inner pockets, so it has plenty of room for multiple items. 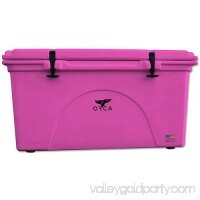 Ideal for school, sports, or even just overnight visits with friends, it blends fun with functionality, pleasing both parents and kids. 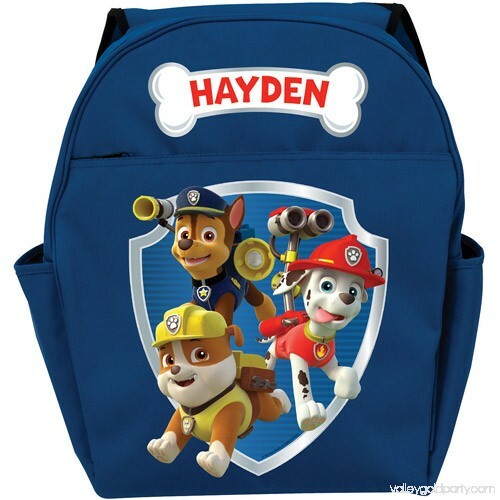 This personalized toddler backpack has room on the front for up to 10 characters, ensuring that you can monogram it with a name, phrase or numbers. 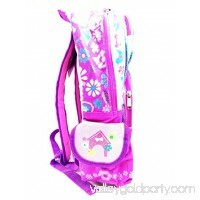 Built-in adjustable shoulder straps let you resize this item as your child grows. PAW Patrol is ready to roll. 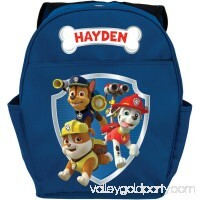 This fun toddler backpack features the trio of Chase, Marshall and Rubble. 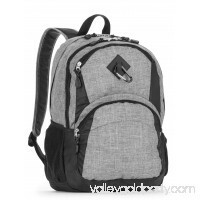 Adjustable, padded shoulder straps and a convenient handle make for an easy and comfortable way to carry the backpack around. 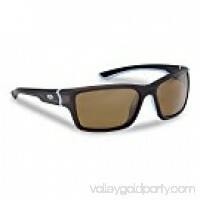 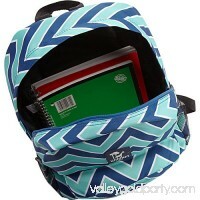 Storage compartments include a front pocket with zipper closure, two side pockets and additional inner pockets. 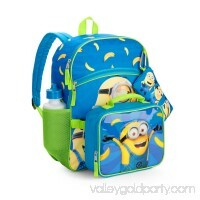 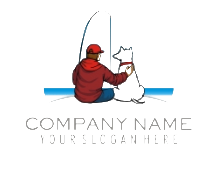 Add a name to this personalized backpack for a unique and special gift. 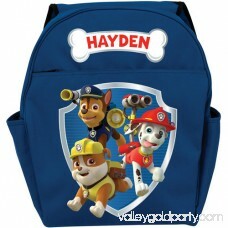 Be ready for adventure with this personalized backpack.